Back in the mid-1990s, we were on the cusp of the “.COM” bubble, the turn of the millennium, and blogging began. Blogging was seen as a way to get your thoughts on paper (well, on screen actually) and maybe someone else in the world would stumble upon it and check it out. At the time, there weren’t social media channels to share it out on, and it wasn’t used to highlight your expertise in an industry. Fast-forward twenty-plus years and the world has shifted dramatically. Today, blogging isn’t just a space to put your thoughts out in the world – it’s a foundational piece to your content marketing strategy. But what if people aren’t finding your blogs? What if there isn’t traction with the content you’re putting out into the world? There could be a number of reasons these pain points are hitting you and today I want to focus on repurposing that content you already have into other media formats. Most blogs on the internet are around 500-700 words, while most webinars are around 30-40 minutes. If you read an average length blog out loud, it won’t take more than 5 minutes. Directly transferring from a blog to a webinar will clearly result in a lack of content, and your audience will be disappointed in the length of your webinar. But webinars are a great way to tell stories about how you got to this point of sharing your knowledge. Webinars – different from podcasts – have the ability to show content, such as a PowerPoint or webpage to expand the topics you’re speaking about. In a recent webinar done by our CEO Tony Sorenson, Tony was able to tell his story on how he got to where he’s at, deliver information on the topic, and connect with the audience on the importance of the topic in our market. 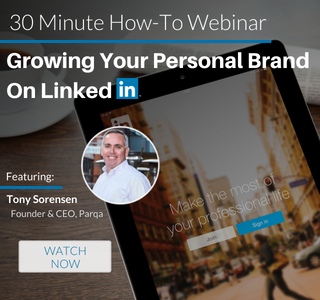 If Tony were to type up that entire webinar, it would be incredibly long, and most likely not something a few hundred people would want to read word for word. Long form content can come in a few different ways like ebooks, salary guides or whitepapers. Transferring a blog directly into long form content may not necessarily work (similar to the webinar) as it wouldn’t be enough content. The reason people download long form content is to receive ‘the ultimate guide’ or ‘the easy guide’ to solve a problem they are seeing in their industry or life. This is one of my favorite ways to transform a blog for a different audience. When blogs are posted to social media, someone needs to click on the blog, be routed back to the website, then read through all the way to the end in order to see your call to action. Video blogs, on the other hand, are a brilliant way to take a blog and transform it into a video that’s usually around 30 seconds long. People can watch video blogs over lunch, on the bus heading home, or just relaxing on the couch. They are quick and don’t require having the sound on (such as a webinar) since the tips are right on the screen. The best types of blogs to convert over to video are blogs such as ‘5 tips’ or ’10 strategies to’ since they have numbered out suggestions. Each slide in the video can be your 5 tips, then it’s wrapped up with a Call-To-Action to direct the audience to engage. The other great part about video blogs, is you don’t need a designer’s eye to make it look great. There are tons of tools out there to help you get started – and they’re very simple to use! While similar to webinars, Podcasts are built solely for your audience to listen to and not watch or read anything simultaneously. Podcasts are great for people on the move – personally, I listen to them out on walks, during my lunch break, or in my car on my commute home. They’re also a great way to bring on guests to interview who are thought leaders in the industry. Podcasts can also have commercials or sponsors to encourage people to take action outside of just listening. Build a following and a cadence to allow insight into your company, your objectives and your opinions on industry new and trending topics. Infographics are similar to video blogs in that they are excellent tools for your social media strategies. These work great for blogs that are laid out in the step by step, or workflow of suggestions. Arrows, timelines, funnels or other shapes that guide from idea to idea help an infographic flow. This is also another format where a blog can be slimmed down to a handful of main points to quickly and effectively make a point. They’re also great in presentations, handouts or to reference for quick facts within a blog. The one downside to converting to infographics is they can take a lot of time, and potentially need a designer to put them together – but once completed, they are effective on social, and quickly get your information in front of prospective clients. While getting content out in front of the world is great, having a strategy to get the right content at the right time in the right format is crucial. If someone is busy walking their dog, they most likely aren’t reading a whitepaper – but they could easily be listening to a podcast! Taking the time to figure out who your audience is, where they’re consuming content, and at what pace. 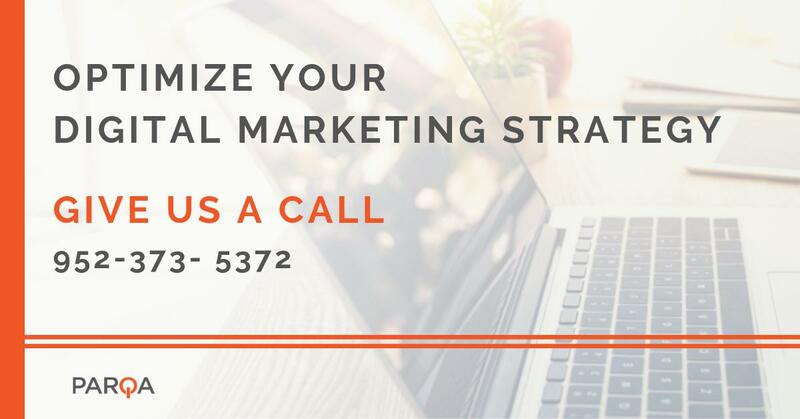 Utilize the analytics and tracking to study what your audience does and capitalize on it! Tags: content, Content Marketing, Digital Marketing 101, and inbound marketing.